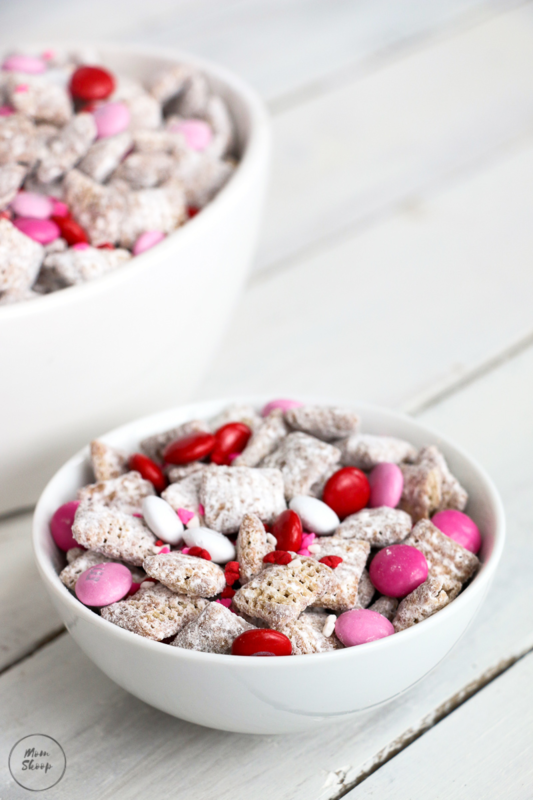 Puppy Chow is one of those tasty recipes that the whole family can enjoy throughout the year! 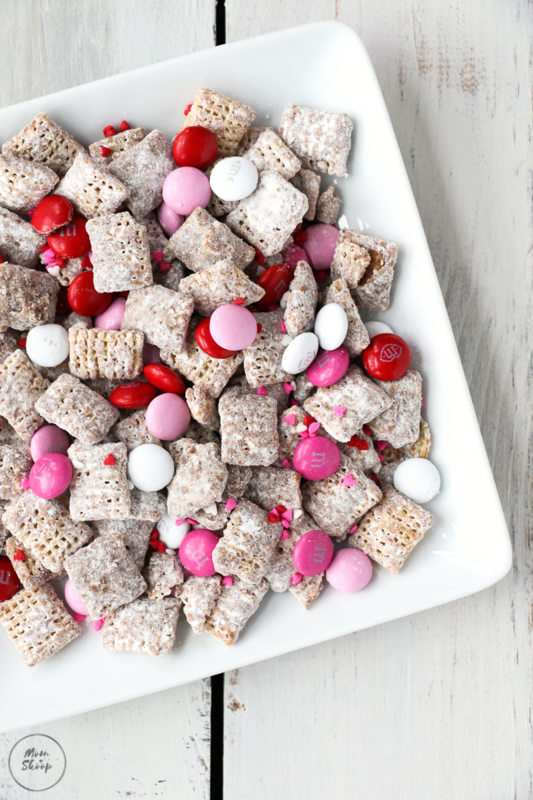 You can customize Puppy Chow for any holiday or event! 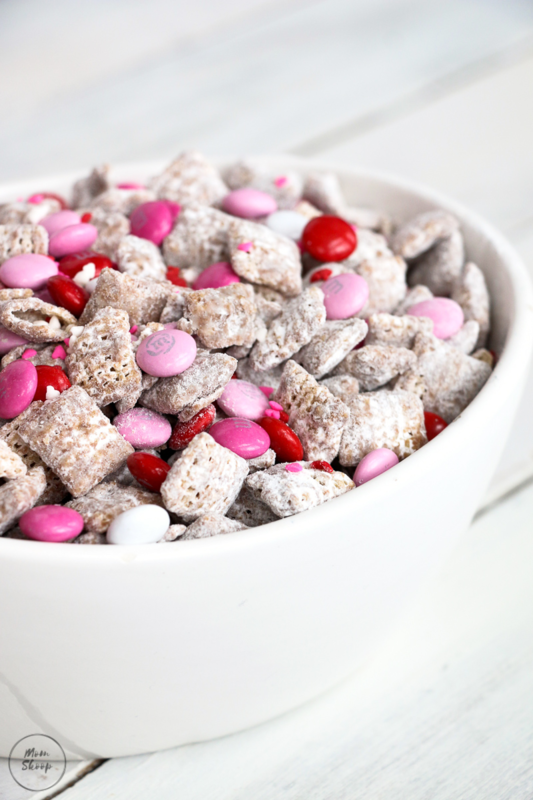 This Puppy Chow recipe is full of creamy peanut butter, chocolate, rice cereal, powered sugar and M&Ms! 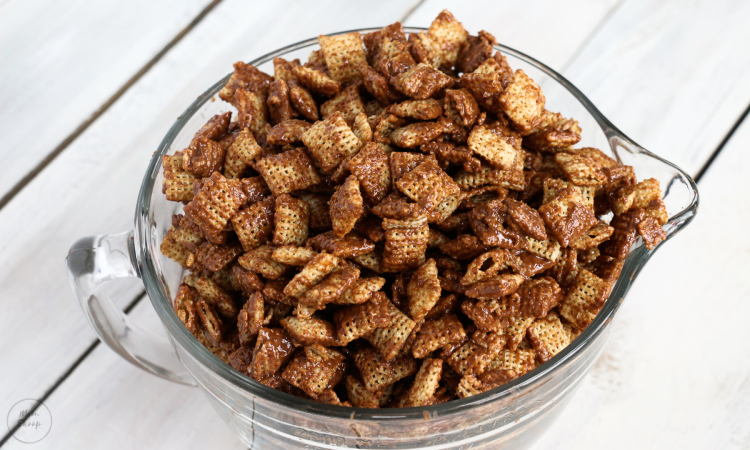 Puppy Chow is made by pouring melted butter, peanut butter, and chocolate chips Chex Mix cereal and then added powered sugar. 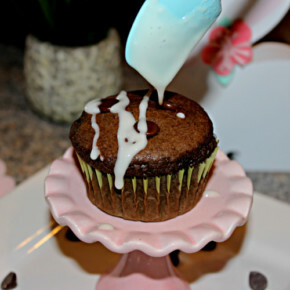 It’s perfectly salty, sweet, and crunchy! 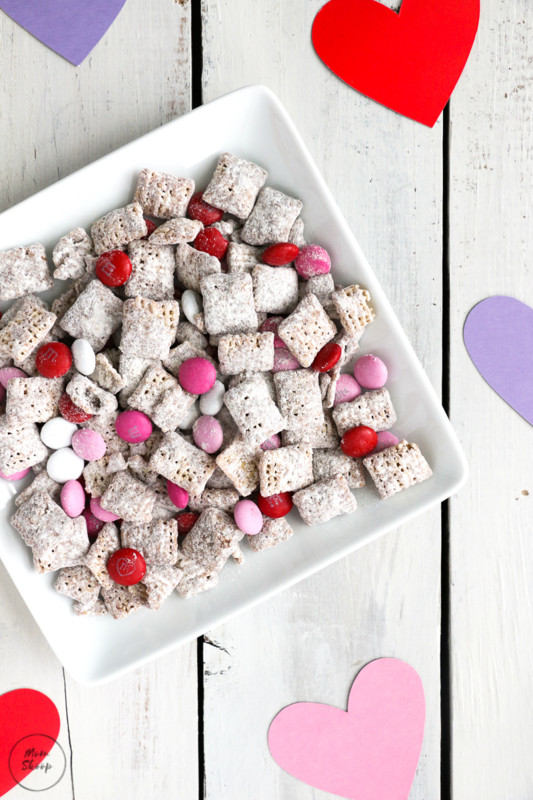 Puppy Chow, Monkey Munch, Muddy Buddies, Muddy Munch or Reindeer Chow are many different ways you can refer to the yummy homemade snacks we make with Chex cereal. Why is it called Puppy Chow? I wish I had a fancy answer to this, however, I don’t. 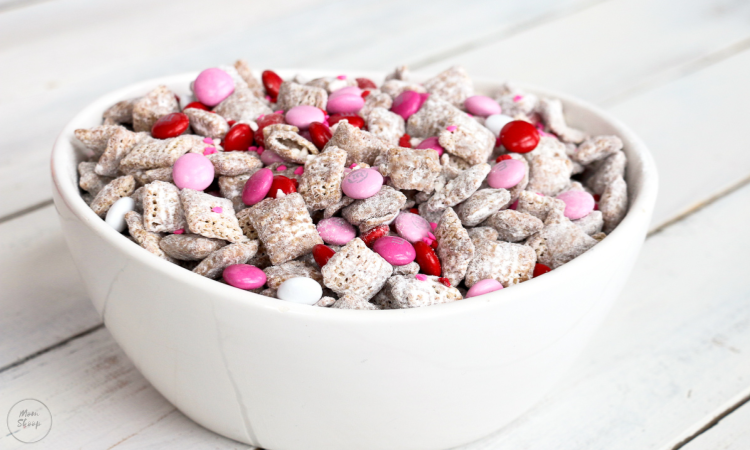 It’s simply called Puppy Chow because it looks like real puppy chow that you give to your dogs. 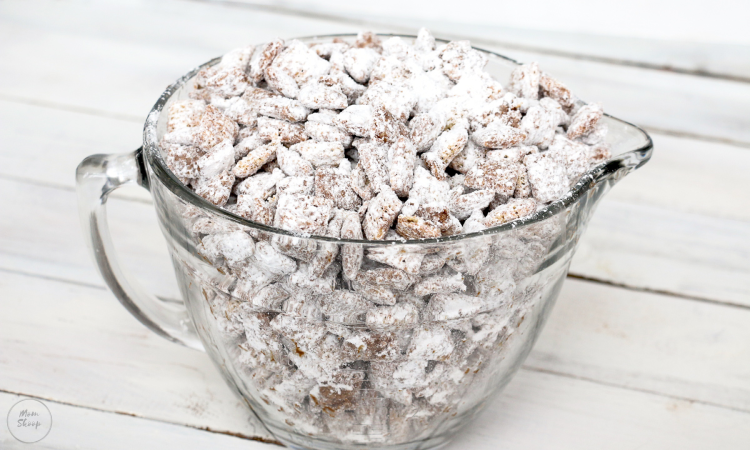 Is Puppy Chow No Bake? 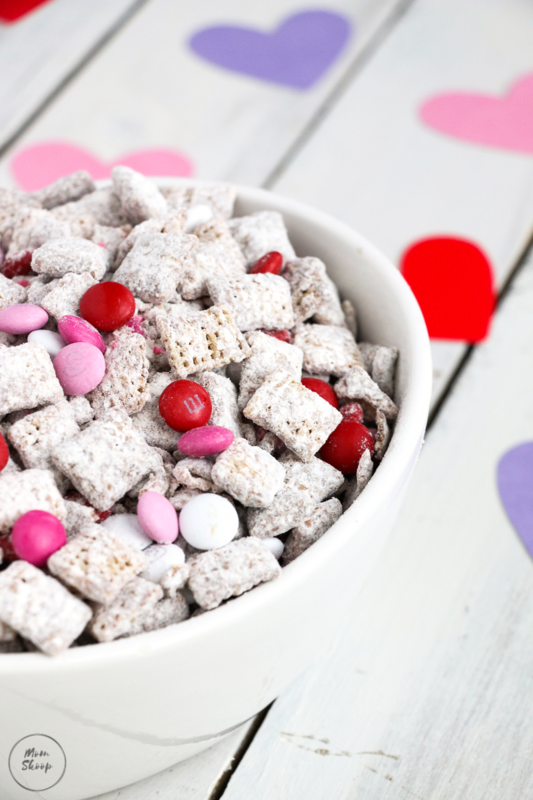 Yes, Puppy Chow is super easy to make, it’s no-bake, and you just need a microwave. How Do You Store Puppy Chow? 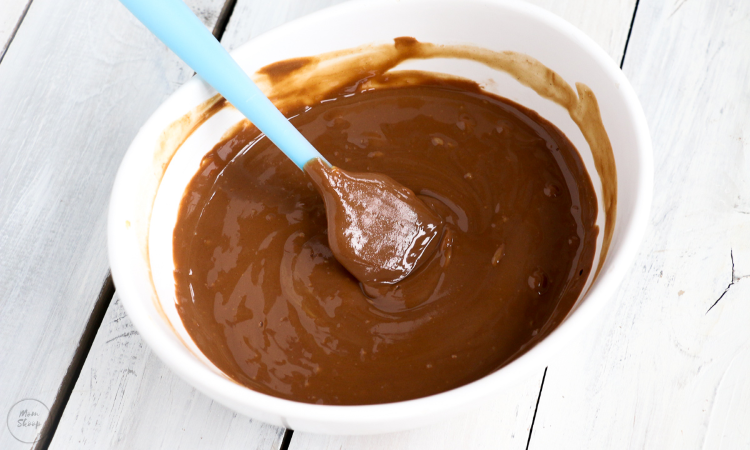 After it’s dry, place the mixture into a large airtight container. You can store it up for to two weeks! 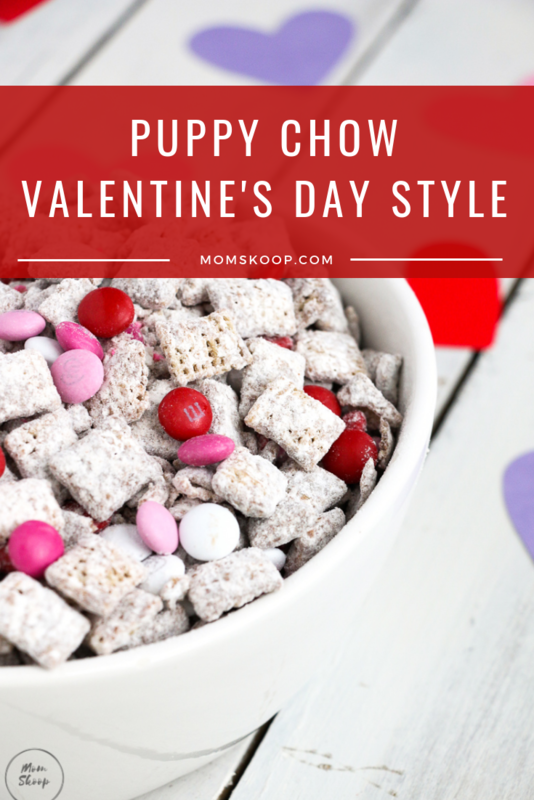 How to Make Easy Puppy Chow – Valentine’s Day Style! 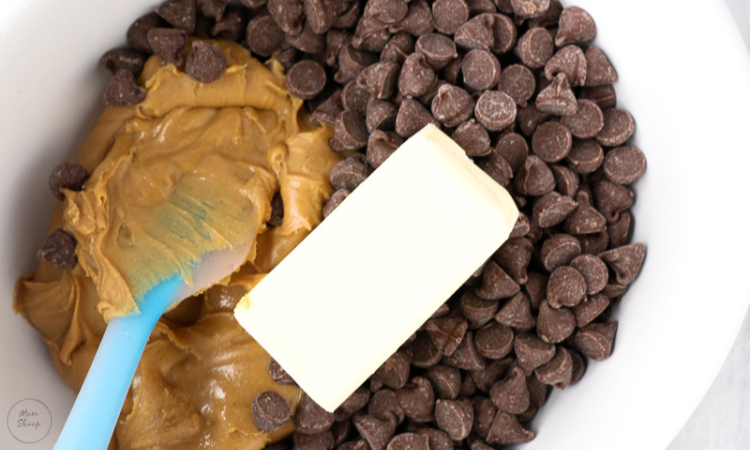 Add M&Ms and sprinkles of your choice to complete your Puppy Chow/Muddy Buddies.